Understanding and respecting the rules, regulations, and any existing laws in the state of Georgia that have been put in place for drone use is very important as a user. Because the popularity of drones, both residential and commercial, have risen quickly over the years, each state has made steps to ensure everyone is safe. This article will give a brief overview of the laws in your state, but we can’t keep cover all the minutae in only two thousand words. That’s why we highly recommend that you do some research on your own time and, ideally, enroll in a professional course if you’re actually looking to get certified. 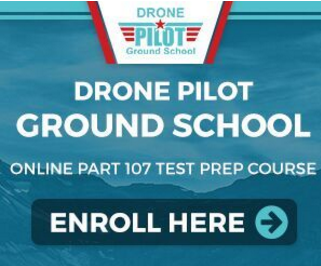 Though there’s lots of options for learning more about drone laws, we highly recommend the#1 Rated Professional Course: Drone Pilot Ground School. Get $50 Off as a Dronethusiast reader, just click the link and sign up. It’s a great way to learn about drone laws and piloting that’s cheaper than most of its competition, you can purchase it once and own it forever and they’re constantly updating their professional training. All that said, let’s move on to the important stuff. Georgia has some amazing areas to fly over, catch footage of, and just enjoy in general. The Blood Mountain is one of Georgia’s highest peaks and is located close enough to the Appalachian Trail that you can get two incredible shots at once. The forests during autumn are one of the best aesthetics that Blood Mountain and the nearby Appalachian Trail has to offer. Freedom Park in Atlanta is one of the largest in the city and has a cross shape that provides tons of room to fly a drone. There are plenty of areas within the park that are great for photography and videography. The Jimmy Carter Library, for example, is a very interestingly pleasing building to view up close with a drone’s camera. Panola Mountain is nearly 1000 feet in the air with a combination of the mountain and the State Park. Panola Mountain and the State Park, Panola Mountain State Park specifically, is a perfect spot for hiking and flying a drone. This is enacted nationwide, not only in Georgia, under Part 101 of the Act, being Special Rule for Model Aircraft, to ensure that drone operations under unsafe conditions are disapproved before the drone can be launched. There are no laws in Georgia on drones specifically. However, there are certain bylaws and rules set in place for the purpose of restricting certain areas of drone use to ensure that the public, and the users alike, are safe during any operation. The Georgia House passed a resolution (HR 744) to create a committee to look into drones. The committee issued their report on December 1, 2015. The report listed out specifically 15 recommendations. While not law, it gives us a “flavor” as to what the Georgia House is thinking. 1. Continue to monitor FAA Regulations with regards to registration requirements of hobbyist operators. The committee does not want to duplicate the process or hinder the industry. Form a commission made up of legislators, researchers, industry experts, and others deemed appropriate to help develop policy and encourage industry expansion within the state. Continue to encourage our universities and technical colleges to find ways to get involved by offering classes, certifications, or any other opportunities that may be deemed necessary. Encourage the state and its agencies to use drone technology in areas where it could provide a cost savings or improve safety. Look for opportunities to encourage venture capitalists to help with startups in Georgia. Protect citizen privacy by making it unlawful to video or photograph another person’s property without permission with limited exceptions to this. 7. Prohibit weaponizing a drone. Make it a violation to fly in or around certain locations such as the capitol. Allow local governments to restrict the use of drones on their publically owned land. Make it unlawful to fly around or to interfere with an emergency scene or to interfere with public safety personnel carrying out official duties. Require law enforcement to have a search warrant to use drones in areas to collect evidence where someone has a reasonable expectation of privacy. Require any videos or photos taken of private property by a government entity without evidentiary value to a specific case to be purged. Make it unlawful to take off from or to recover a drone from private or public property without permission. Prohibit use of drones for hunting and fishing or to use a drone to interfere with someone else that is hunting, fishing, or trapping. Prohibit the use of drones within so many feet of a public road without permission. While there are no effectively set laws except for unlawful circumstances and set legislation by the state, there is, however, a bill that is coming into effect on July the 1st of this year, being 2017. 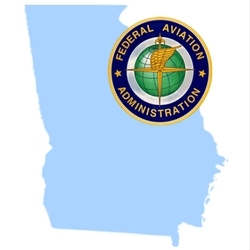 To amend Chapter 1 of Title 6 of the Official Code of Georgia Annotated, relating to general provisions regarding aviation, so as to provide for preemption for unmanned aircraft systems; to define a term; to provide for related matters; to repeal conflicting laws; and for other purposes. (D) Can be expendable or recoverable. Such term shall not include a satellite. Adopt an ordinance that provides for or prohibits the launch or intentional landing of an unmanned aircraft system from or on its public property except with respect to the operation of an unmanned aircraft system for commercial purposes. While this may not be in effect at this time of writing but is a bill that was proposed and passed, it is currently in this category of legal issues with drones and not specific drone laws in Georgia because it has not come into effect yet. Once it has come into effect these sections will more than likely be updated to reflect drone laws and general legal issues that drone users face in the state of Georgia. How do I request flight permission from Air Traffic Control to operate within airspace class B, C, D, or E? You can contact Air Traffic Control for flight permission through the FAA portal available online by clicking here. The best way to avoid issues when flying a drone, not just in Georgia but nationwide, is to do your research and abide by the laws, regulations, and rules that go with flying a drone in your state. The Chattahoochee National Forest (host of Blood Mountain Wilderness) is regulated by the USFS thus would have different regulations than the NPS. My neighbor is flying his drone over my property and home and hovering the drone there maybe 30 feet in the air for a good amount of time. Is that legal in the state Georgia. What are my rights as home and land owner. Is it legal to shoot it down. *In United States v. Causby, the Supreme Court of the United States in 1946 provided guidance on where private property rights of airspace end and navigable airspace begins. In Causby, a farmer lived adjacent to a military airport where aircraft flew as low as 83 feet over the farmer’s property. As a result, the noise from the aircraft startled the farmer’s chickens, causing them to kill themselves by flying into walls. Since the navigable airspace which Congress had placed in the public domain was airspace above what was deemed the minimum safe altitude (“MSA”), the Supreme Court reasoned that airspace above the MSA was immune from suits against the government for a takings violation. 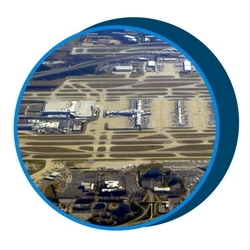 The Causby Court put forth two key principles regarding airspace below the MSA. First, landowners have “exclusive control of the immediate reaches of the enveloping atmosphere.” Second, landowners own at least as much of the space above the ground as they can occupy or use in connection with the land. While it appears that the lowest “navigable airspace” could descend to is just over the Causby limits, the circumstances of the case may limit its applicability. Causby took place during World War II. It involved large military aircraft flying 83 feet above the farmer’s property. The unsettling noise resulted in the destruction of the use of the property as a commercial chicken farm and caused the farmer’s family severe anxiety from the lack of sleep. In contrast, drones are typically not noisy or earsplitting, and often fly well below 83 feet. Further, drone technology did not exist when Causby was decided 70 years ago. The Court ruled in favor of the farmer. However, several questions linger including “where the precise boundaries of public airspace above the farm meet the immediate reaches of the farmer’s property” and how high state government’s rights extend. I just bought a drone near conyers ga and was wondering is it even worth having since I am an rc hobbyist and love cars and truggies but never had a drone before? I mean will I get in trouble flying around my house or in a park? Just not sure where I can fly the drone when I do get it because of all the laws saying where you cant fly? I’m former FAA and assisted the 1989 AMA waiver for RC aircraft ops. I’m also a helicopter pilot in GA. The videos this guy took concern me as he is clearly flying over 400 ft AGL. I know this because I fly over these areas at 500 ft AGL all the time. Even more disturbing is he is within 5 miles of airports and flying at reporting points for arrival aircraft. What this guy did is clearly illegal now, don’t do it. I guess it all depends. As they say with government regulations “There’s a waiver for everything” so exceeding the 400 ft AGL rule is possible if you contact the FAA, get permits and NOTAMS issued for certain flight activities. He’s also operating that sUAS at night (past the end of evening civil twilight and before the start of morning civil twilight), which is also illegal without special flight permits to do so. Can an HOA restrict use of drones over the community’s private lake that is home to ducks and geese?